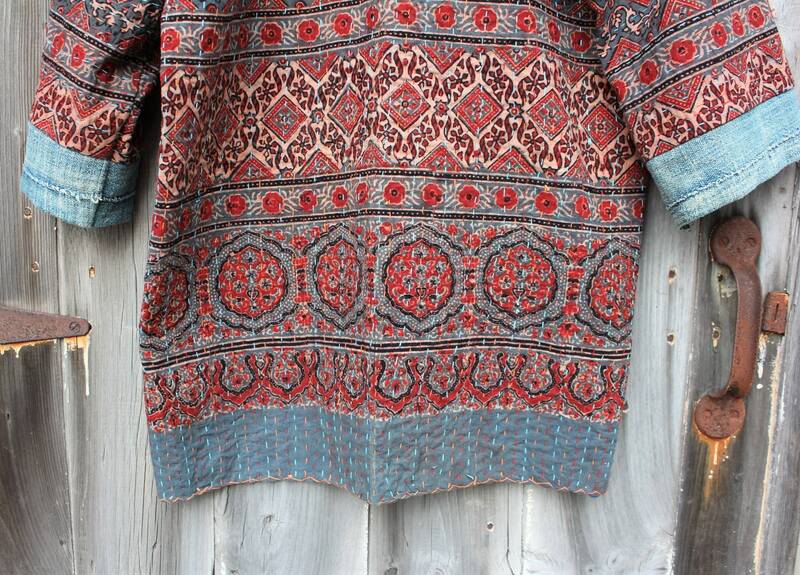 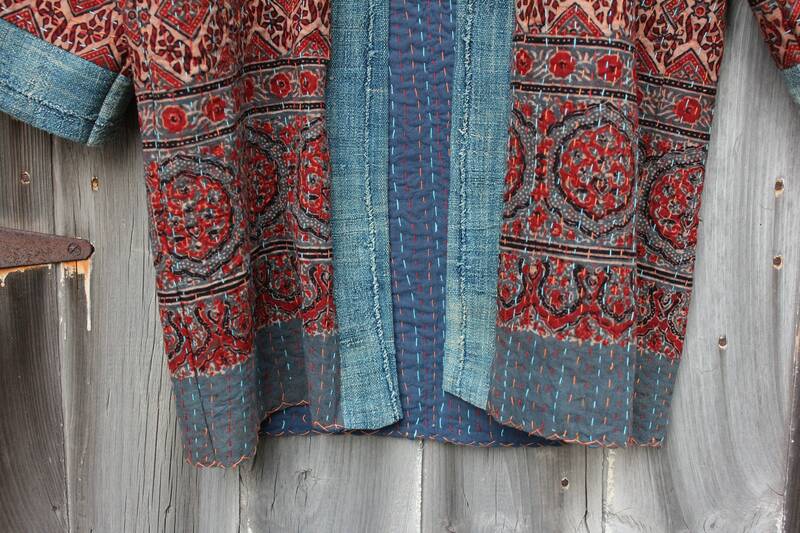 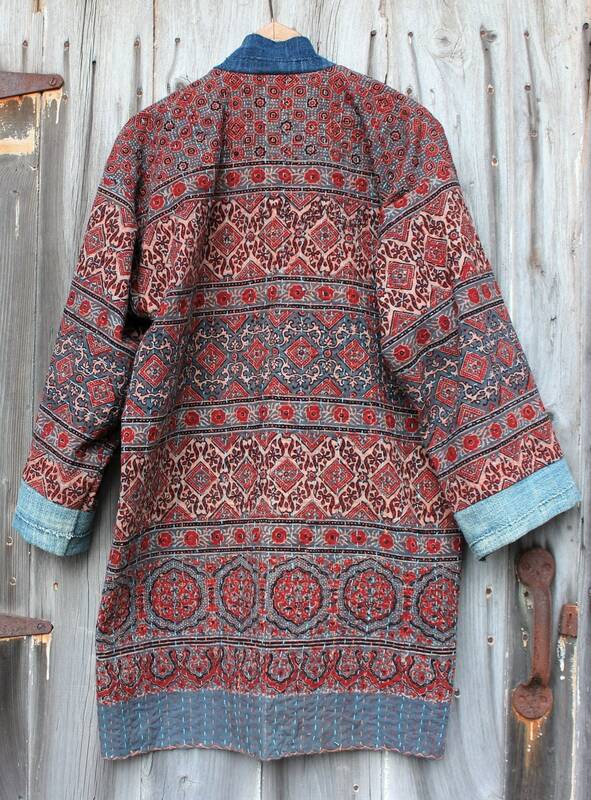 We chose a beautiful block printed, hand stitched Kantha Quilt made in Jaipur, India for this one of a kind Jacket. 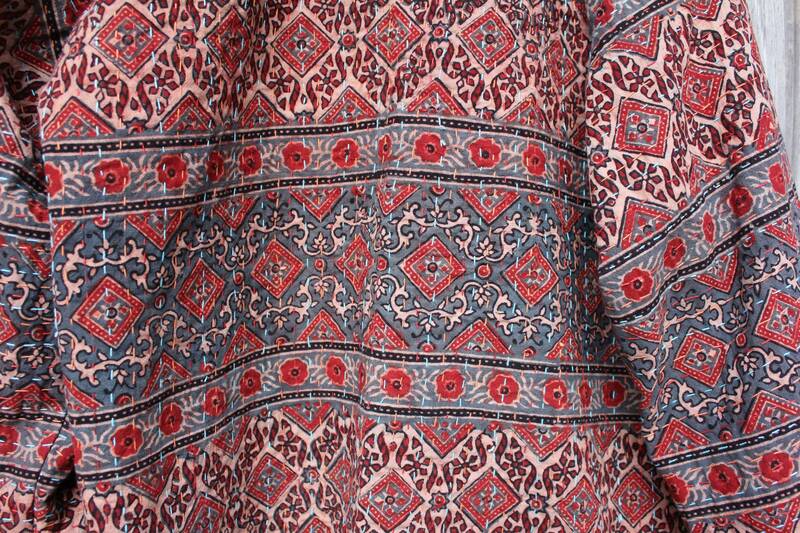 The quilt is made of a traditional paisley type wood block pattern with amazing shades of burnt red, blues and nuetral tones. 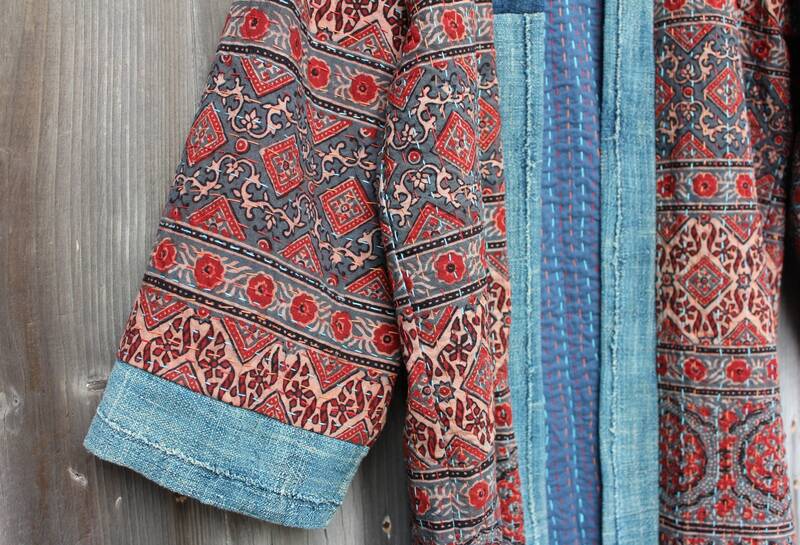 The hand stitching is made up of a few colors and really shows up nicely on the inside of the jacket. 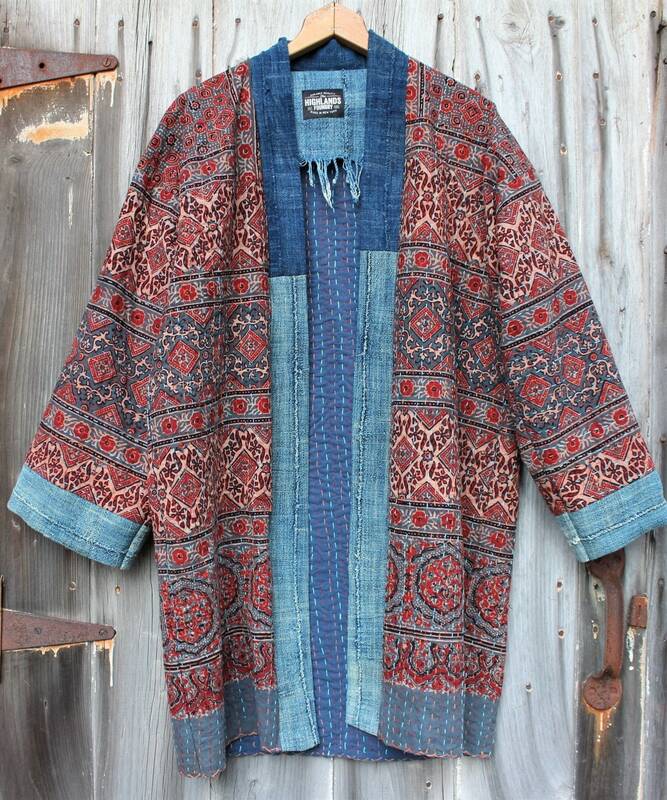 We blocked the front and sleeve bands with vintage hand woven and indigo dyed cloth from Burkina Faso, West Africa. 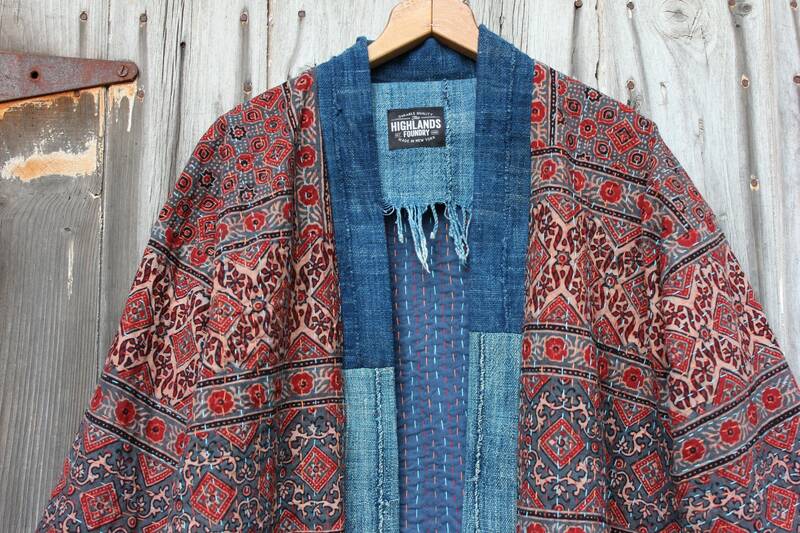 The jacket is a relaxed fit and is a one size fits all and unisex piece.